← Taxing Multinationals — What Taxes? What Disclosure? — Are you Kidding! Trade Anger and Protectionism — Not Going to Win the White House. Yes, it is clear that anger about trade and calls for protectionism have become the hallmarks of this campaign. But political strategies relying upon them are not going to succeed. The fury over lost jobs is primarily coming from workers in the manufacturing sector. No doubt about it. But job losses have not only been caused by China and its accession to the WTO in 2001. This was going on for years before China entered the WTO. The movement from manufacturing to services, the rise of a broad range of other markets after World War II, containerization, ever larger cargo ships, revolutions in supply chain management and communications, reliance on information technology and the Internet—these have been going on for decades. 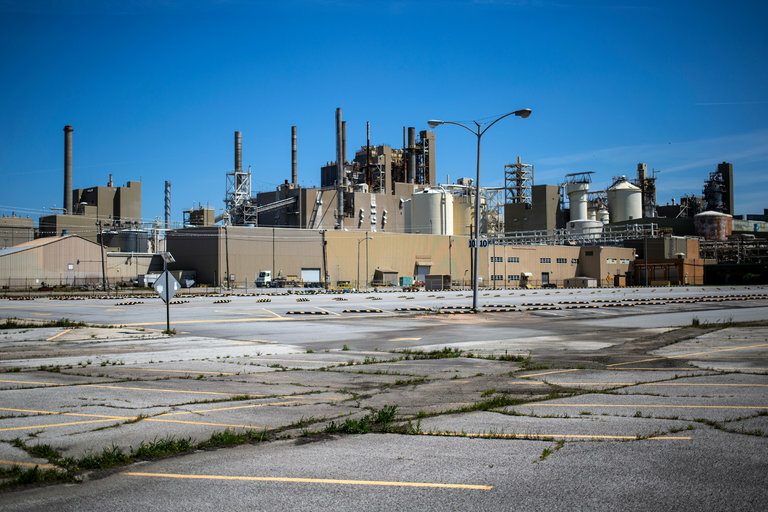 The loss of manufacturing jobs also involves, to a great extent, U.S. tax rules that allow for the deferral of income tax on the overseas profits of U.S. multinationals. It involves a host of other misguided U.S. tax rules, such as, for example, those allowing overseas affiliates to lend back overseas profits (an insidious form of repatriation). It allows U.S. parent companies to deduct the very low interest payments to its overseas affiliates. Needless to say, it also entails the global development of offshore shell companies, bank secrecy, and a general failure to police the international tax environment by the U.S. and others. Technology and structural changes both domestically and internationally are more long-lasting than China’s surge over the past decade or so. China itself today is going through a change away from its reliance on exports, low wages, and currency devaluation. The U.S. economy is primarily service based and increasingly online. There is a digital revolution going on in global trade relations. The problem for former workers is the lack of reabsorption back into the workforce. I’m just not sure this is really ever going to happen to a great extent. Younger workers who are familiar with technology and different work structures are much more employable and competitive. But they have challenges too in this new economy such as finding meaningful employment after paying steep university tuition and graduating without very marketable skills. Greater foreign investment in the U.S. is part of the answer on how to promote more economic development and greater employment. The federal government and states need to work harder on this despite some populist blowback. We’re not going to repeal the law of comparative advantage and the idea workers will retrain and relocate. In the real world there is real friction between being able to retrain workers and what economic theory said in the eighteenth century. Our Trade Adjustment Assistance program can be beefed up but it’s simply not going to solve the problem. U.S. consumers—and I’m including large industries—like the low prices of imports. Imports themselves are a huge industry with their own interest-group supporters. The bottom line is this: When we get into the general election a whole range of voters will come out. Those who loudly participated in the primaries are going to be swamped by many others. They like the low prices. What we need to do is provide assistance to U.S. manufacturing firms for innovation. Whether or not there is going to be trickle down to the formally employed is somewhat doubtful. But better public policy must address – and hopefully resolve – the plight of the former manufacturing employee. Massive new construction projects to update our lousy infrastructure would be a good start, if a few decades late. This would include our ports. Hopefully, new policies can be developed without the debilitating and dysfunctional anger that surrounds the issue of trade today. There are many good geopolitical and national security considerations for actively engaging in global trade beyond trade itself and promoting full and stable employment. Active engagement in trade promotes U.S. national interest, the rule of law, our values in the global system, and upholds U.S. leadership in the global community. ….. “Furious Voters on Both Sides.” New York Times (April 26, 2016). ….. “Where Pain is Felt Most from Free Trade, Voters Seek Extremes.” New York Times (April 26, 2016).